In the June 2016 British edition of GQ, Dwayne Johnson said, "I’ll be honest, I haven’t ruled politics out. I’m not being coy when I say that, but at the moment I am not sure. I can’t deny that the thought of being governor, the thought of being president, is alluring. And beyond that, it would be an opportunity to make a real impact on people’s lives on a global scale. But there are a lot of other things I want to do first." In July 2016, Johnson was interviewed by ABC News where he said, "The idea of me being president one day has become a legit thing to some people. If it is an overwhelming positive strong, ‘We want you to run for President’ [sentiment] and if I felt that I could step up to the plate and become a tremendous leader and make a real difference and make change, I would do it." 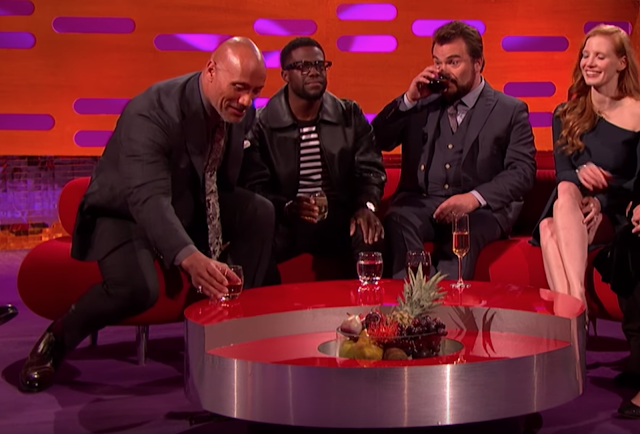 Dwayne Johnson was recently a guest on The Graham Norton Show. During the show, Norton brought up his possible bid for the US Presidency in 2020. The following discussion is a partial nonverbal analysis of this interaction on Norton's Show. 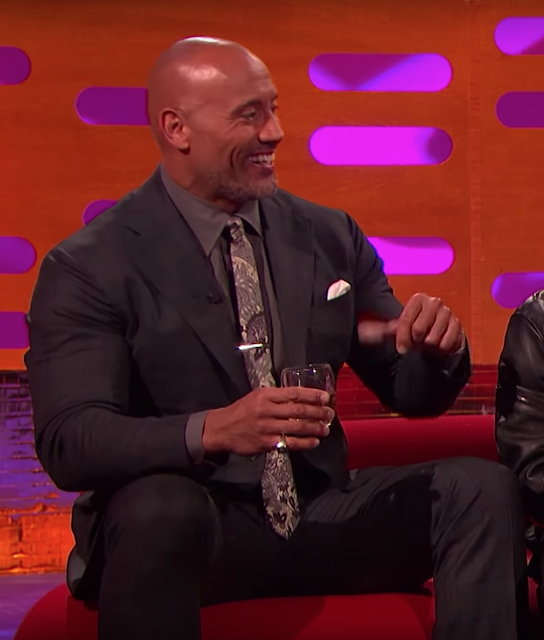 GRAHAM NORTON: A, now I have to say - talking of crowds cheering - and the rumors are - the rumors are - Dwayne Johnson - President - 2020.
however, it sounds like he says "yeah" - albeit quietly. 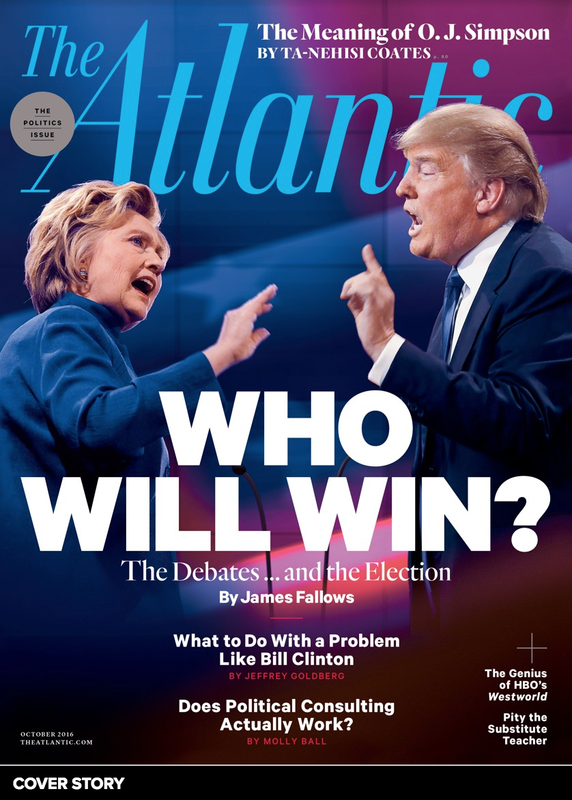 We see here an interesting juxtaposition of first, an up-and-down head nod - followed shortly thereafter by a side-to-side head shake. While the up-and-down dynamic is a reliable signal of an acknowledgment (also because it was immediate) - the side-to-side motion, particularly with his sincere smile, blushing, looking down to his right (betraying a highly emotional context) - signal joyous-overwhelm-disbelief. 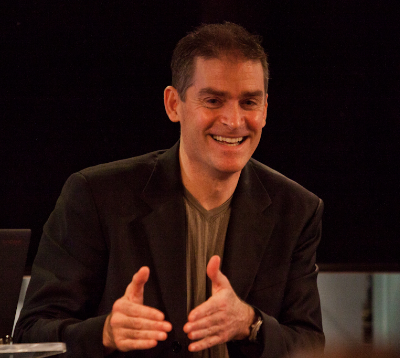 This side-to-side nonverbal display is extremely common and often confused with a "no" signal (e.g., With winners of talent shows, contests, etc.). 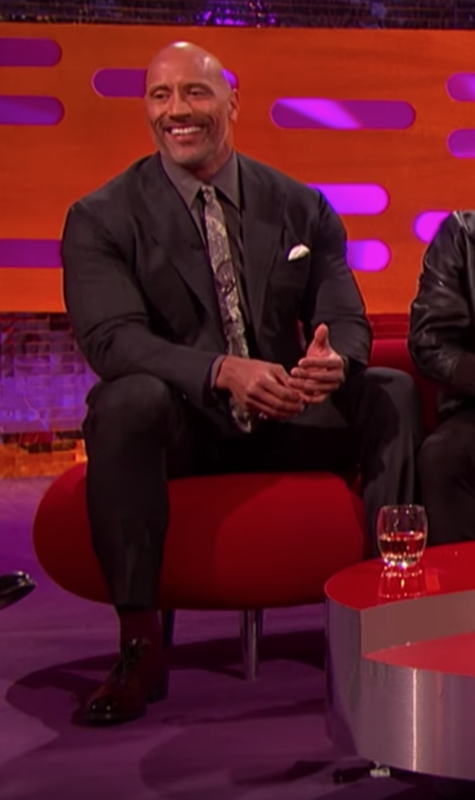 During 0:11 - 0:12, The Rock pinches his left pinky finger with the thumb and forefinger of his right hand. This MAP (Manipulator, Adaptor, Pacifier) is a nonspecific anxiety display. During 0:12 - 0:15, Dwayne Johnson reaches for his drink. Reaching for and/or then taking a drink are often seen as stalling techniques - although these are usually subconsciously initiated. These are all Alpha-Upregulating behaviors - and this cluster is commonly seen in seen with alpha males - who are in the midst of a need to further "dial-up" their alpha emotions. This combination would be very rare during deception - particularly in such a public arena and concerning a topic with profound ramifications. During 0:18, The Rock flicks his wrist in a watch-adjustment maneuver. This is another alpha-upregulating behavior. This would also be quite rare behavior during a lie. Johnson then evades answering the Presidential question as he launches into a story. 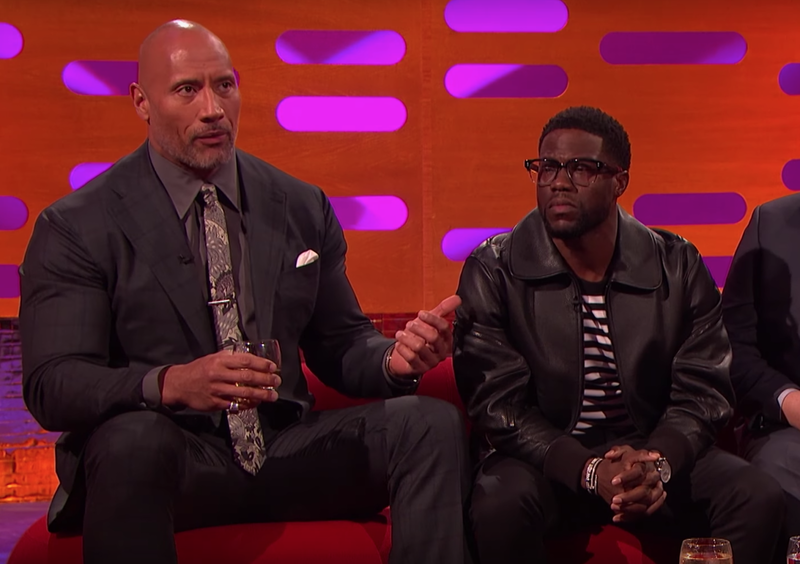 During 0:33 the Rock misspeaks as he says, "... this guy to my right ..." while pointing at Kevin Hart, who is seated at his left. 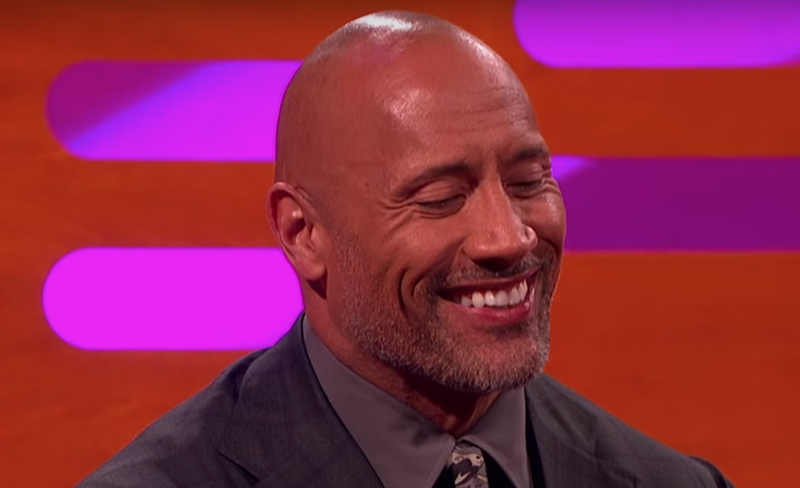 Summary: Dwayne 'The Rock' Johnson's nonverbal, paralanguage, and verbal behavior during this video all indicate he is seriously considering a run for the US Presidency in 2020.